*from my Star2Sunday (July 17, 2011) article. I’m blessed that Rif would go the extra mile just for me. And when the extra mile is food-related, the more effort he puts in. This eating spree was organized by him, after I talked about featuring a few good eating places in Klang. “Dress comfortably and ditch your high heels,” he said, before picking me up from my home. 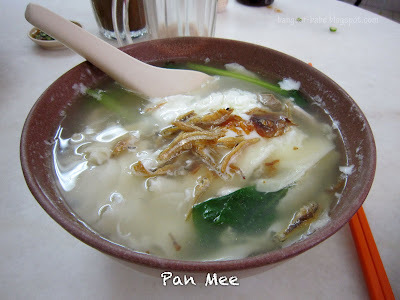 Our first stop was Fatty Mee Hoon Kuih House in Taman Berkeley, for some supposedly ‘really good’ pinched pan mee. At about 1.30pm, the place was ridiculously crowded. Finding a place to sit was difficult and more than 3/4 of customers have yet to get their noodles. According to Rif, there’s less people during weekdays. This has got the be the longest time I’ve waited for a bowl of noodles; 1 hour and 10 minutes. I never knew people were so crazy over pan mee and didn’t understand why they had to cook one bowl individually each time! 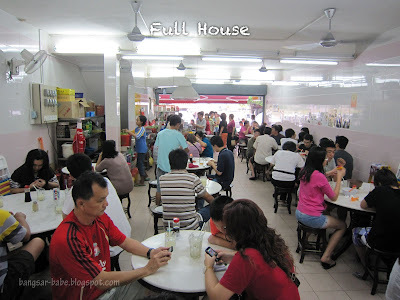 By the time my large bowl of noodles (RM3 – small, RM3.50 – large, RM4 – extra large) arrived, I was famished. The noodles had an incredibly smooth texture and each piece was evenly cooked and of just the right thickness. To describe this simply, it was al dente. I also noticed how each piece didn’t stick together, making the experience more enjoyable. The soup although clear, was sweet and flavourful from the boiled pork slices, anchovies and choy sum. For an extra RM0.50, you get an egg in your pan mee. I should have gone for the extra large bowl — to make the long wait slightly more worthwhile. In my opinion, the noodles were delicious, but I don’t think I’m ever going to wait 1 hour and 10 minutes for a simple bowl of noodles ever again! After the pan mee lunch, we headed off to look for the Cendol Klang. I don’t know if my sense of directions is poor, or that the signboards in Klang is confusing. I kept navigating Rif to all the wrong places! After 20 minutes of driving around, we finally found the Klang cendol place. Like most famous places, the queue was long. Rif looked for a place to sit while I waited in line for a bowl of creamy concoction. If there was one complaint about this place, I’d have to pin it down to how some people don’t know what a queue is. See, instead of joining the long queue for the Klang cendol, this rather big-size man walked straight to the front of the line and demanded for four packets of cendol. The Indian couple obliged. 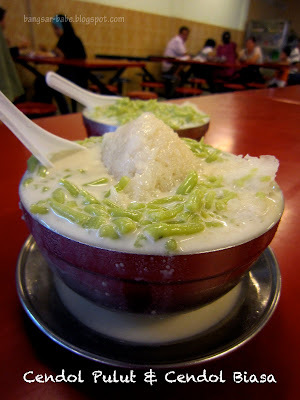 The young chap (I’m assuming he’s the son of the owner) who prepared my cendol did it very efficiently. 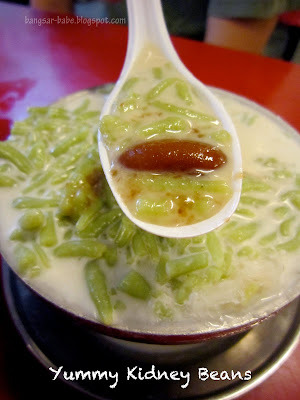 After 15 minutes, I finally got my cendol pulut (RM2.20) and a plain cendol (RM1.70) for Rif. Tastewise, I found this pretty good. The green jelly strips were soft yet firm, while the palm sugar was adequately thick and of just the right sweetness. 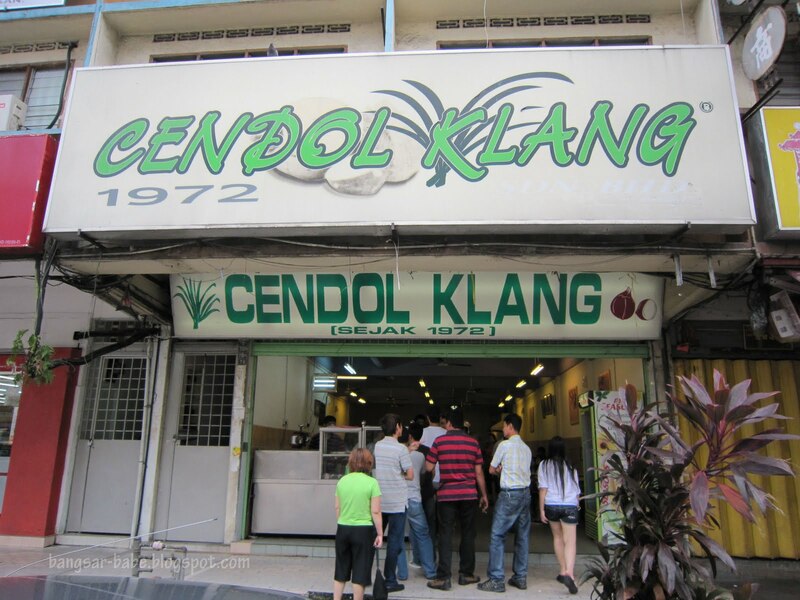 I seldom come across cendol in Klang Valley that contains good kidney beans, but the beans at Cendol Klang hits the spot — tender, sweet and thoroughly marinated. Another thing I liked about this cendol was how fresh and creamy the coconut milk was. It had an almost silky texture. My nasi pulut was aromatic and softly chewy. 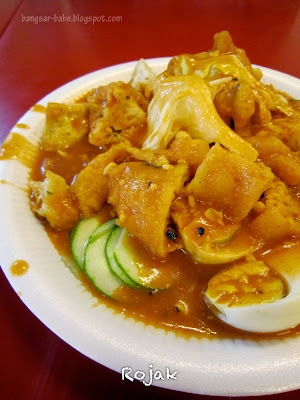 On the other hand, I found the rojak (RM3.50) very disappointing. The gravy although spicy, was diluted and lacked flavour. I also didn’t like the prawn fritters as I found them more doughy than crunchy. 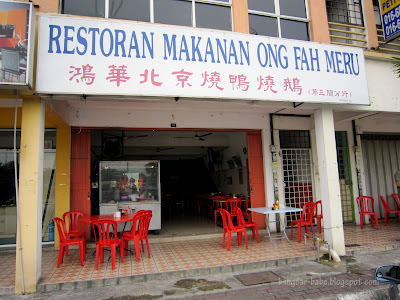 On our way home, we stopped by Restoran Ong Fah Meru to buy some roast duck. Granted this isn’t the best roast duck I’ve eaten, it’s still pretty good. 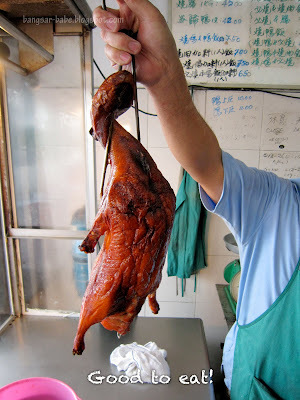 What I like about the roast ducks here is their good fat to meat ratio and crisp skin. The duck was also quite large — there was plenty of meat to eat. Even after packing it home, the duck still tasted good after 5 minutes of light roasting in the oven. 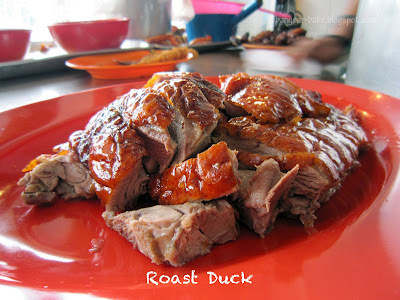 For RM38, I reckon this is possibly one of the cheapest roast ducks around.The shop also sells siew yuk (roast pork), char siew (barbecue pork) and roast chicken. If you ask me, I’d say stick to the duck. In general, I found the food in Klang more affordable and of heartier portions. 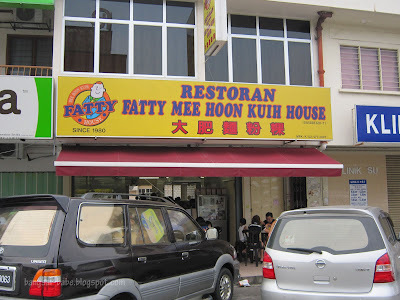 I’m planning to try the mee jawa, fried chicken and Klang famous pau in my next visit. They look so calorie-worthy but then again, i'm 21 and i feel that my metabolism is failing me. serious. 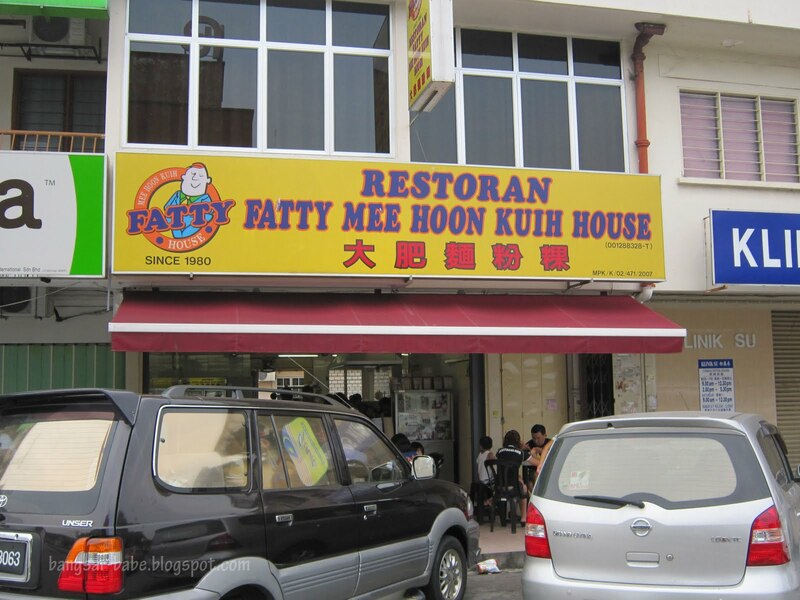 I like Chinese food very much so I'll visit this place.All the dishes look great.